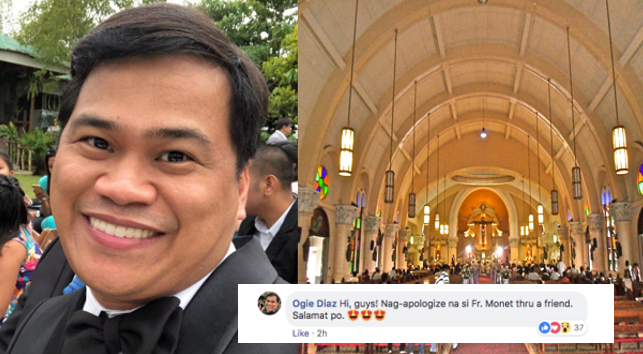 Actor comedian Ogie Diaz receives an apology from a priest in Quezon City, after posting his remark on the priest' homily last Sunday. According to Diaz, he shared his experience thru his Facebook post searching for the priest who have done homily last December 2 at the Parish of the Sacred Heart of Jesus in Quezon City. 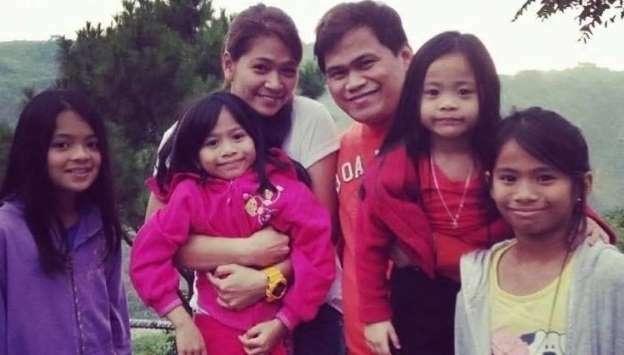 He was with his 9-year-old daughter when the priest made a remark on a TV show in ABS-CBN where gay gender are the contestants. After netizen in Facebook learned the post from Ogie Diaz, in his comment section he shared that the priest already apologize thru a friend. The parish priest whom he is looking for was Father Ramon Monet Bosch who made the remark against gender in the middle of the sermon last Sunday. According to Diaz, to whom his Facebook post was already deleted. Father Monet already apologized thru a friend. The contents of the apology was not mentioned. “Hi, guys! Nag-apologize na si Fr. Monet (apologized) thru a friend,” Diaz commented. “Salamat po (Thank you).” It was not mentioned what the contents of the apology were.